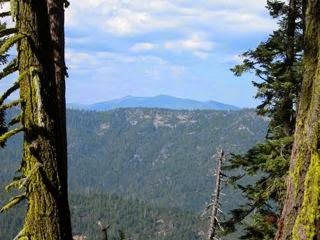 Campbell Timberlands to clearcut log near Bartle, CA and the Pacific Crest Trail. This THP is about a dozen miles SE of McCloud, CA and about 3.5 miles SW of the town of Bartle, CA and Highway 89. Campbell Timberlands is planning a mostly clearcut tractor and cable logging operation in Douglas fir, ponderosa pine, sugar pine, incense cedar, white fir and red fir forests at an elevation of 3,880 to 6,120 feet. The Pacific Crest Trail is located within .25 mi of units 3106 and 3111 within section 31. Campbell timberlands is proposing 317 acres of so-called "variable retention clearcutting" units which retains conifers under 5" dbh, unmerchantable snags, large woody debris, etc in addition to the 86 acres of regular clearcutting. They want to use tractors in areas designated as cable logging units to provide tail holds, pull trees away from streams, and to construct fire lines. They also want to use tractors on steep slopes between 50% and 65% grade that do not flatten before reaching a watercourse within unit 3112. Eleven road drainage sites are planned for work including rocking, dip construction and culvert repair/replacement. According to Campbell Timberlands, The THP area contains 2 invalidated spotted owl sites within 1.3 mi - in 2013, a spotted owl was detected but determined to be foraging from outside of the THP area. More information is available on the THP Tracking Center website. Mendocino Redwood Company re-submits "South of Bailey THP" near Navarro, CA. This THP is about 6 miles NW of Philo, CA and about 1.6 miles east of the town of Navarro, CA and highway 128. It is a re-submit of THP 1-14-024 MEN (South of Bailey THP) which was recently withdrawn (see THP Blog entry “Mendocino Redwood Company to log on steep and unstable slopes east of Navarro”). The THP area flows into the Middle and South Branches of the Navarro River system which is impaired for sediment/siltation and temperature. Mendocino Redwood Company is planning a tractor and cable logging operation in redwood and Douglas fir forests at an elevation of 320 to 1,400 feet. There are 15 road failure sites including multiple fill failures, cut bank failures and inner gorge instability issues. MRC plans to use a landing within a watercourse, and skid trails within a watercourse. 69 road drainage sites are planned for work including rocking, dip construction, ditch cleaning and culvert repair/replacement. More information is available on the THP Tracking Center website. Campbell Timberlands to log on steep and unstable slopes near the Lost Coast and Sinkyone Wilderness. This THP is about 8 miles north of Rockport, CA and close to the Lost Coast and Sinkyone Wilderness State Park near Highway 1. Campbell Timberlands is planning a tractor and cable logging operation in redwood and Douglas fir forests at an elevation of 70 to 1,320 feet. 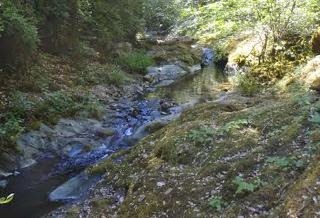 The THP area is located inside Campbell Timberland’s Usal Redwood Forest, which flows from Usal Creek into the Pacific Ocean. There are 6 large landslide terrain sites including disrupted ground, debris slides, hummocky ground and cracked ground; and multiple misc road failure sites including fill failures, cut bank failures, and destabilized crossings. Heavy equipment is proposed for use on step slopes over 65%, on tractor roads within a class II watercourse at 7 locations, and for skidding operations inside a watercourse area. 47 road drainage sites are planned for work including rocking, dip construction, and culvert repair and replacement. For spotted owl site MEN0166; this THP will remove 86.9 acres of nesting/roosting habitat within .7 mi. 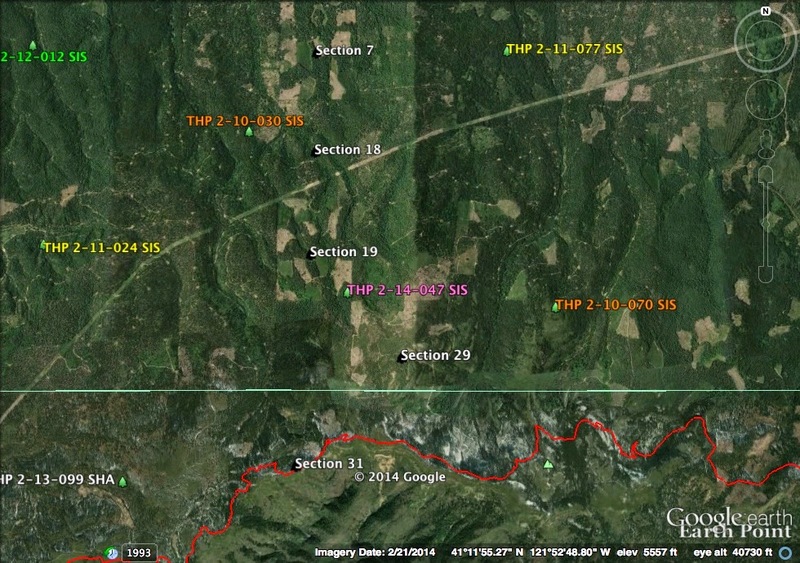 For spotted owl site MEN0535; this THP will remove 176.3 acres of nesting/roosting habitat within .7 mi. More information is available on the THP Tracking Center website. Crane Mills Corporation to log west of Corning, CA. This THP is about 15 miles NW of Paskenta, CA near Thomes Creek which flows into the Sacramento River. 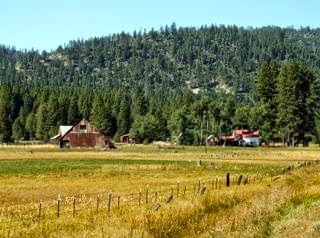 Crane Mills Corporation is planning a tractor based logging operation in ponderosa pine, white fir and incense cedar forests at an elevation of 4,000 to 5,600 feet. Shelterwood removal is proposed with an option to sanitation salvage log due to the presence of dwarf mistletoe infection, which is often cited as justification to log larger trees at mid to high elevations. Heavy equipment is proposed on the D6 road inside a class III watercourse, and there are 14 road drainage sites planned for work including rocking, dip construction, ditch cleaning and culvert repair and replacement. Sonoma cansecent manzanita and konocti manzanita were reported to be in the THP area. More information is available on the THP Tracking Center website. 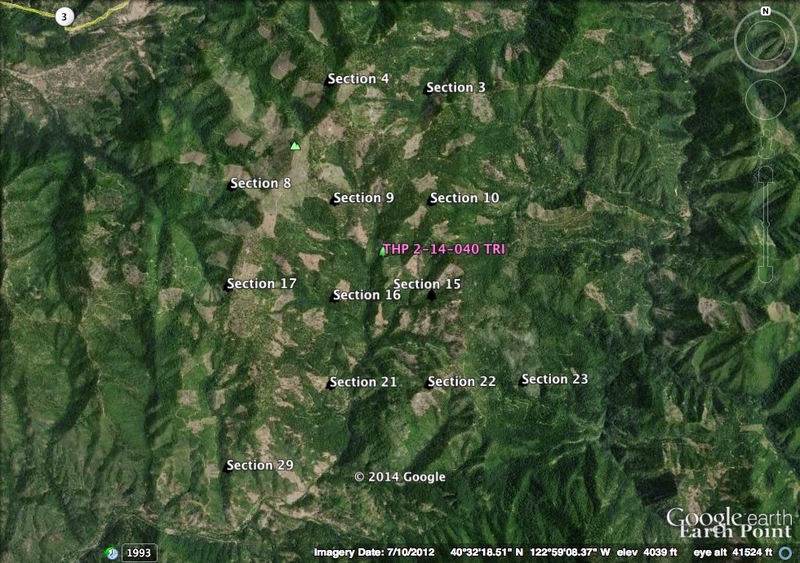 Coastal Ridges LLC planning new THP near Willits, CA. 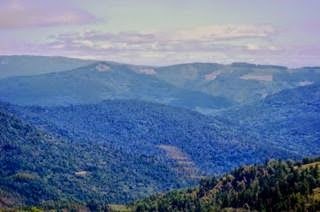 This THP is about 5 miles SW of Willits, CA and close to Highway 20 at an elevation of 800 to 2,560 feet. 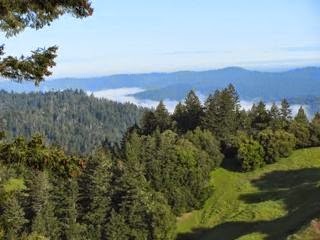 Coastal Ridges LLC is planning a tractor and cable logging operation in redwood and Douglas fir forests. The THP area flows into the North Fork of the Big River which is listed as impaired for sediment and temperature. There are multiple misc road failure sites including washed out crossings, fill failures, cut bank failures and bank slumping. Coastal Ridges LLC wants to use ground based equipment on steep slopes over 65% grade. 47 road drainage sites are planned for work including rocking, dip construction, ditch cleaning and culvert repair and replacement. For spotted owl site MEN0225; this THP will remove 27 acres of nesting/roosting habitat within .7 mi, and 53 acres of foraging habitat within .7 mi. More information is available on the THP Tracking Center website. 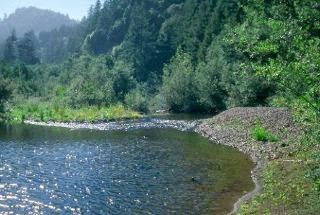 Green Diamond Resource Company to clearcut log near the Yurok Indian Reservation. This THP is about 12 miles NE of Trinidad, CA along the eastern edge of Redwood National Park near the Yurok Indian Reservation. 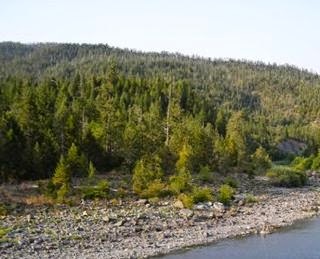 The THP area flows into the Klamath River which is listed as impaired for nutrients, temperature and dissolved oxygen. 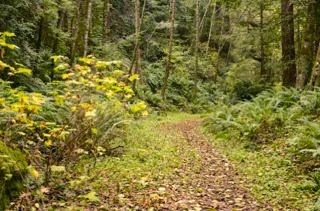 Green Diamond Resource Company is planning a mostly clearcut tractor and cable logging operation in redwood and Douglas fir forests. There are steep streamside slopes with bank failures and unstable areas within units B, C and E, and misc crossing failures and fill failures, including a 750 foot section of road that has slumped down a few feet. To hide the effects from clearcutting, there will be a special treatment area near Units F and G which are adjacent to Redwood National Park. 38 road drainage sites are planned for work including rocking, dip construction, culvert repair and replacement and road bed stabilization. Spotted owl sites are located within .25 mi of units A, B, C and D. More information is available on the THP Tracking Center website. This THP is 7.5 miles south of the town of O’Brien, OR near the Highway 199 Randolph Collier Tunnel at the CA/OR border. The THP area drains into Oregon down the West Fork of the Illinois River. 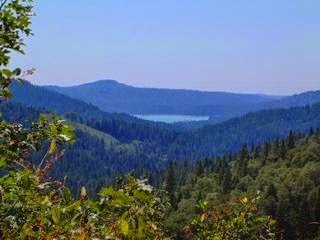 Green Diamond Resource Company is planning a tractor and cable logging operation in Douglas fir, sugar pine and Port Orford cedar forests. There are multiple landslide and road failure sites including fill failures, debris slides, and cut bank failures mostly related to poorly placed 1950’s skid trails. 4,150 feet of new seasonal roads are planned, 1,945 feet of new temporary roads are planned, and there are 4 roads proposed with short steep segments between 15% to 22% grade, and 2 roads proposed on steep slopes over 65% grade. 14 road drainage sites are planned for work including rocking, dip construction, ditch cleaning, culvert repair/replacement and road bed stabilization. The THP contains 4 sensitive plant species including; Oregon goldthread, Marbled wild-ginger, Bald Mountain milk-vetch and Howell’s fawn lily which are located within flagged plant protection zones. More information is available on the THP Tracking Center website. Sierra Pacific Industries to clearcut log east of Hayfork, CA. 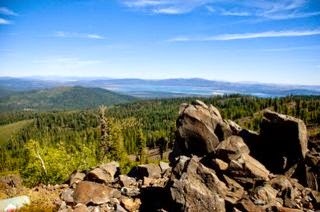 This THP is 7 miles east of Hayfork, CA and about 4 miles south of Highway 3 at an elevation of 4,240 to 5,400 feet. Sierra Pacific Industries is planning a tractor and cable logging operation in Douglas fir, ponderosa pine, sugar pine, white fir and incense cedar forests. The THP area ultimately drains into the South Fork of the Trinity River which contains salmon and steelhead and is listed as impaired for sediment/siltation and temperature. SPI wants to use a skid trail inside a class II watercourse, and a landing inside a class I and class II watercourse. 7 road drainage sites are planned for work including rocking, dip construction around a fill failure site, and culvert repair and replacement. Unit 2434 is within .25 mi of spotted owl site TRI 2014 new #1, and spotted owl site TRI 0027 is within .25 mi of haul roads. More information is available on the THP Tracking Center website. Sierra Pacific Industries to log out large trees near the Board Camp Roadless Area. This THP is about 22 miles east of Eureka and about 15 miles SW of Willow Creek and adjacent to SPI’s recently proposed White Oak THP 1-14-066 HUM (See Sierra Pacific Industries to log in spotted owl habitat near the South Fork of the Trinity River). The THP area flows into Redwood Creek which is listed for sediment/siltation/temperature and the Mad River which is listed for sediment/siltation/temperature/turbidity. 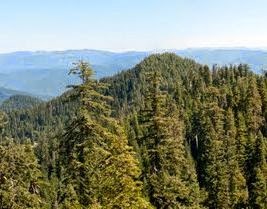 Sierra Pacific Industries is planning a tractor and cable logging operation in Douglas fir, white fir and incense cedar forests at an elevation of 4,200 to 4,720 feet. This THP will shelterwood log and remove large trees over 130 years old, including trees that are close to the Board Camp Roadless Area located within sections 27, 28 & 29. There are 2 unstable areas, including a road with cutback and fill failures. 13 road drainage sites are planned for work including rocking, dip construction and culvert repair and replacement. Humboldt mule ears were located in sections 20,21 and 29; nodding semahore grass was reported to be in sections 21,22 and 27; and Mad River fleabane daisy was reported to be in sections 20,21,29 and adjacent to unit 20J. More information is available on the THP Tracking Center website.